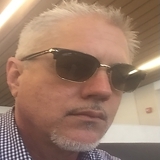 Chris J. Solari is currently the Director of Sales for Prime Window Systems LLC and has over 15 years of experience in building materials sales. Prior to his current role, Chris was the U.S. 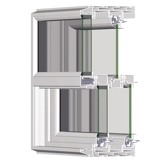 Architectural representative for Atrium Windows and then Prime Window Systems for 8 years. During this time, he worked closely with the design community to specify Acoustic Window Systems in Multi-family and mixed use projects across the country. Chris graduated from San Jose State University with a B.S. in Finance and lives with his family in Roseville, CA.